Russia is showing no signs that it intends to forgive and forget Turkey’s decision to down a Russian warplane two weeks ago. Moscow has chosen to retaliate for the incident asymmetrically, hitting Turkish economic and military interests instead of engaging in a direct conflict with Ankara that might lead to a military confrontation with NATO. But the Russians appear to have “gone ballistic" in their determination to wipe out Turkish influence in northern Syria and help regime forces reach Aleppo, a UN official told McClatchy on Monday. 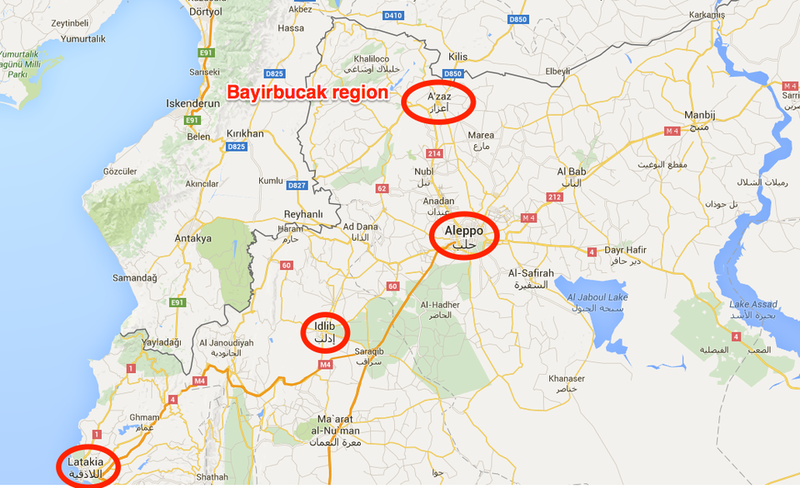 A stepped-up Russian bombing campaign in the Bayirbucak region of northwest Syria, near the strategically important city of Azaz, has primarily targeted the Turkey-backed Turkmen rebels and civilians — and the Turkish aid convoys that supply them. 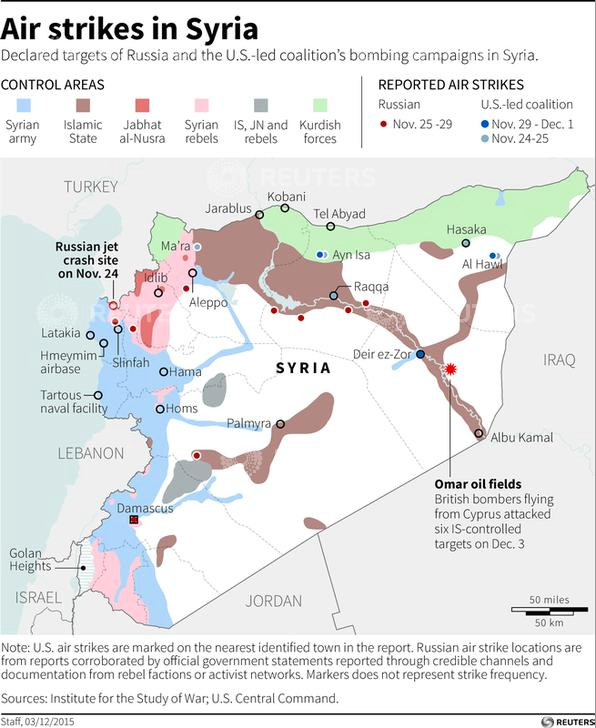 The strikes are in-line with an objective Russia has had since the beginning of its air campaign in Syria — namely, to undermine Turkey’s Syria policy of bolstering rebels fighting Syrian President Bashar al-Assad’s regime and to prevent the Turks from establishing a "safe zone” for displaced Syrians that might hinder the regime’s efforts to take Aleppo. That city is the second-largest in Syria and divided between government and rebel forces. The Assad regime launched a large-scale offensive to retake the city in mid-October with help from Russia and Iran. “There has been an uptick in bombing in northern Syria as part of the reaction to the downing of the Su-24,” Boris Zilberman, a Russia expert with the Washington, DC-based think tank Foundation for Defense of Democracies, told Business Insider in an email. Indeed, the increased airstrikes on Turkish interests and allies in northern Syria is as much about hastening a vital win for the Russia-backed Syrian regime as it is about getting back at Ankara. “If there is going to be a partition in Syria, and Assad is going to build his own state in Latakia, Bayirbucak is a strategic point and the Turkmen will have to be driven out,” Abdurrahman Mustafa, president of the Syrian Turkmen Assembly, told the Independent last week. Russia, for its part, insists that its planes have only ever targeted “terrorists.” But Turkey had complained previously about Russia bombing villages in northwestern Syria that are predominantly inhabited by civilians and Turkmen rebel brigades battling Assad — not members of al-Qaeda affiliate Jabhat al-Nusra or ISIS. “Putin’s larger immediate goal is to shut down Turkey’s link to Aleppo, thereby preparing the way for Assad (perhaps even in coordination with the PKK-affiliated Kurds) to besiege and eventually recapture the city,” Middle East expert Tony Badran, a research fellow at the Foundation for Defense of Democracies, wrote last week in Tablet. There is little Turkey can do about Russia’s bombing campaign near its border without provoking a situation in which NATO would be forced to come to its defense. In moves evidently meant as a message to deter Turkish jets from shooting down Russian planes in the future, Russia reportedly equipped its jets flying in Syria with air-to-air missiles for self-defense. It also sent a state-of-the-art S-400 missile system to the Russian Hemeimeem air base near Latakia — about 30 miles south of the Turkish border. An S-400 defense missile system appears to be driving out of a cargo plane at Hmeymim airbase. The US-led anti-ISIS coalition — of which Turkey is a part — may intervene, however, if it sees that the Russian airstrikes have created an opening for ISIS to make significant gains near Azaz and advance toward Aleppo. “Everyone knows that any wrong move creates a vacuum, and the Islamic State will capitalize on it,” the UN official told McClatchy. “In fact IS has taken quite a bit of ground” near Azaz. In Tablet, Badran argued that this consequence was deliberate on Russia’s part. “By creating an opening for ISIS to make a push toward Azaz, Putin will leverage the US and Europe to pressure Turkey to shut down this section of its border. If ISIS actually makes it to Azaz, Russia can then invite the US and the Europeans to join it in strikes against ISIS, and in support of the Kurds,” he wrote. Zilberman said it would be in the anti-ISIS coalition’s interest to shut down this vulnerable section of Turkey’s border anyway.